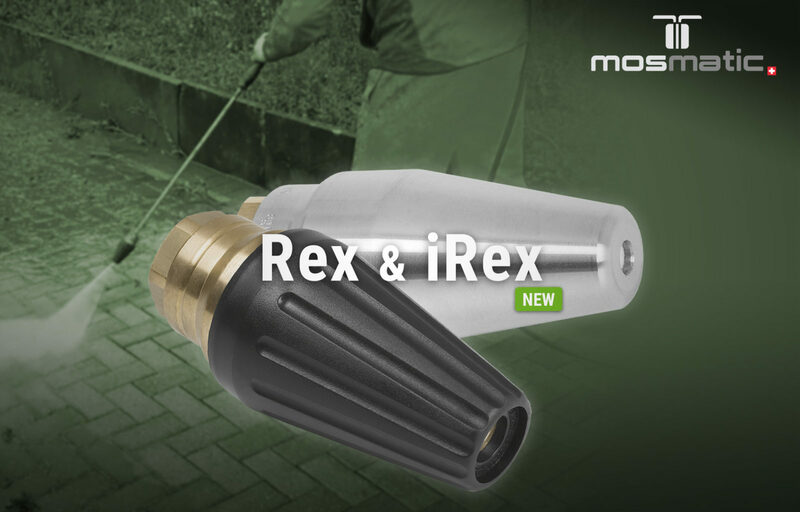 Mosmatic’s Rex and iRex turbo nozzles are an effective solution for removing dirt in hard to reach areas. Connect the suitable Rex nozzle to your pump and cut your cleaning time in half. The Rex Turbo Nozzle saves you time AND money. The turbo nozzle is available in the classic version Rex, and in the Inox version iRex. The rotating 0 degree nozzle increases the cleaning power of your pump. Depending on the application, we recommend working with high flow or with high pressure in order to achieve an optimal cleaning result. Choose the right model for your application. © 2019 Mosmatic AG. All rights reserved.